The African American Performance Art Archive was featured in an exhibition of faculty research projects sponsored by the Institute for the Arts and Humanities’ CHAT Festival (Collaborations: Humanities, Arts & Technology) at the University of North Carolina, Chapel Hill, February 16-19, 2010. The CHAT Festival’s mission was to explore how “digital technologies are transforming the practices of the arts and humanities, including how we learn, think, know, teach and express ourselves both as individuals and as communities.” Festival events included live performances, a series of panels and lectures, and exhibitions of collaborative projects created by scholars at UNC-Chapel Hill, Duke University, and North Carolina State University. 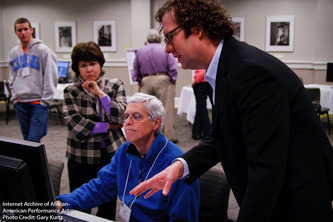 Photo: John Bowles demonstrates the Archive to CHAT Festival attendees. A CHAT Festival announcement with a description of the African American Performance Art Archive and exhibition details. Photo gallery documenting the CHAT Festival, including a photograph of John Bowles at the exhibition of faculty projects, demonstrating the site to visitors. Photo gallery documenting the Faculty Working Groups held in preparation for the CHAT Festival. John Bowles appears in two of the photographs. 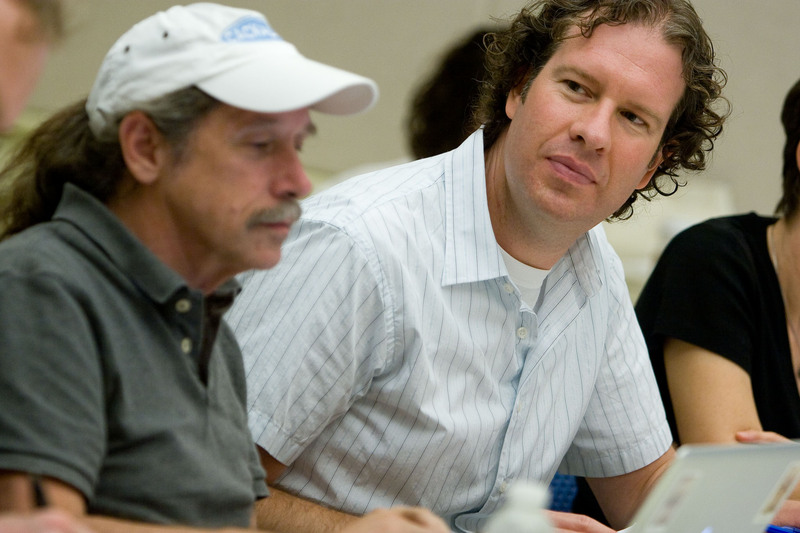 Photo: CHAT Festival participants Paul Jones and John Bowles at one of the Faculty Working Groups, summer 2009.